Team Acer have confirmed the signing of the former 3DMAX female squad. The French team rose to the top of the world back in November as they were crowned world champions on home soil after beating North American side Karma 2-0 in the grand final of ESWC 2014. At Copenhagen Games, in April, 3DMAX were however, unable to replicate the performances from ESWC as they finished third behind Karma and Ubinited. But the berth to this year's ESWC event, in Montreal, as defending champions still made the team an appealing choice for any organisation out there looking to venture into female gaming. 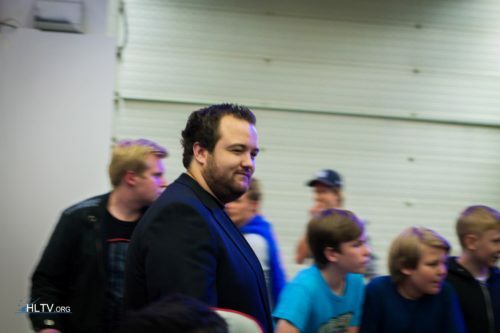 After over a month without an organisation to represent, Laura "Nasty" Déjou's side have signed for Team Acer, who also support an all-Swedish male team, led by Björn "THREAT" Pers. We are proud to announce our collaboration with Team Acer this year after the closure of 3DMAX Gaming. We are really happy about this new alliance, and impatient to start playing under the famous tag which is Team Acer. We have talked with Uwe and we had the same goals and the same vision of esport, so we didn't have to think much, it was an obvious choice for us. 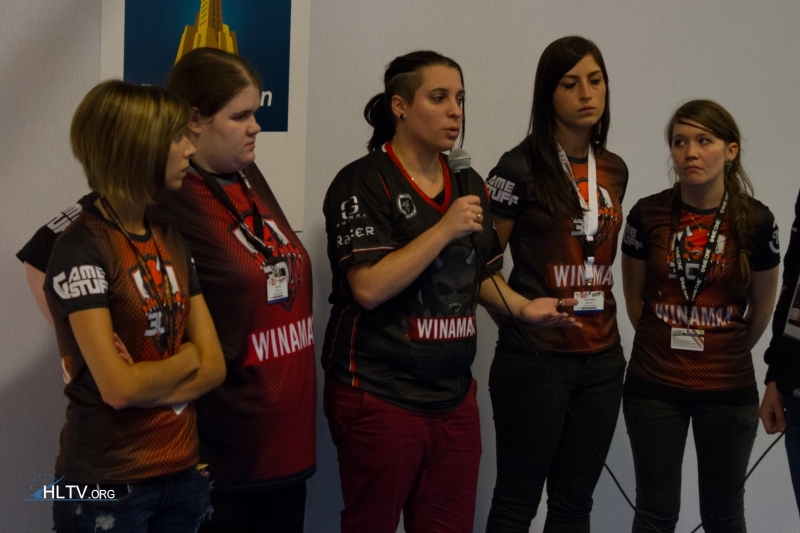 Concerning our goals: we would like to make the exploit of winning 2 times in a row the ESWC CSGO female tournament. About the others upcoming events we will give the best of ourselves to accomplish huge things together. Finally we would like to thank Team Acer for their trust and support! "We are proud to announce our collaboration with Team Acer this year after the closure of 3DMAX Gaming," Dejou said in a statement. "We are really happy about this new alliance, and impatient to start playing under the famous tag which is Team Acer. "We have talked with Uwe and we had the same goals and the same vision of esport, so we didn't have to think much, it was an obvious choice for us. "Concerning our goals: we would like to win the ESWC CSGO female tournament two times in a row. About the others upcoming events we will give our best to accomplish huge things together. "Finally we would like to thank Team Acer for their trust and support!" you realize that the NA girl teams took 1st and 2nd in the last tournament. Hey, we'll take what we can get at this point. This title got me so bad, haha. +1 i was dissapointed too. Why are people writing about steel? Did I miss something? block out the body with your hand and there you have Steel talking about throwing games. I'm sure that if they put ''female'' in front of the teams the views would drop drastically. Was confused for a moment, n1. Karrigans gf is from Russia i think?!? Is it me or do they all look depressed in that pic?? Instead you get to sit in the corner with UK and the other countries without a scene. Come here friend, take a seat by the fire and we shall share tales of source and 1.6. Be happy for that. Our scene has a rising team (nEophyte) and all they get is pure hltv hate. I've been saying this for a few times but here I go again: HLTV's lack of comment ordering creates this toxic. Situation could be better if HLTV implemented some kind of upvote(/downvote) possibility on comments. That way trolls and groundless hate would be discarded from the discussion and at the same time well-argued comments would rise up. This would help the community enormously since HLTV is the most official-like forum right now but yet not the most functional. Dude, you obviously didn't understand :) A metaphor - sending you an upvote that can't be received, because there is no function here for it. Oh! But blue arrow is a downvote. :D But thanks. At the same time, any reasonably analytical post will be downvoted though for no good reason purely because say, it is criticising (in a fair, non abusive way) a fan favourite such as say f0rest for example. I really wouldn't like HLTV to become CS:GO's own reddit site. I don't understand how would a good analytical post be "downvoted". Good discussions don't base on fandom. As for becoming a "reddit site", I sure used some technical terms from Reddit but I it could be like only thumbs up or something like that. Some way to organize comments and that way bringing up good replies to guide the community to a better path. That might happen, sadly, but it still would be a better system than the current HLTV system. Is there a place to watch female matches?